British Prime Minister Theresa May and her main rival Boris Johnson battled Tuesday to woo their Conservative party members, as the European Union raised the pressure on London to offer compromises to reach a Brexit deal. Johnson will make his long-anticipated speech to the party’s annual conference in Birmingham, central England, where he is expected to repeat his attacks on May’s strategy for leaving the EU. Aides to the charismatic former foreign minister said he would also cover a wide range of domestic issues, reinforcing speculation that he is making a pitch for May’s job. 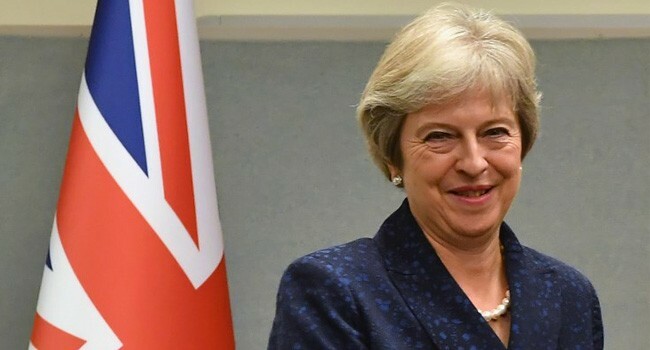 In broadcast interviews on Tuesday, the prime minister acknowledged Johnson’s speech would be a “lively” event, and called for her party to “come together”. But she ensured she dominated the headlines by announcing a new immigration policy — something that was not expected until Wednesday and will address many Tory members’ concerns. Free movement of EU workers was a key issue in the 2016 vote for Brexit, and May confirmed that Europeans would be treated the same as non-EU citizens in the future. Her public battle with Johnson comes just weeks before May must return to Brussels in a bid to break the deadlock in Brexit negotiations and reach a deal. The prime minister hinted at a possible compromise on how to keep the land border with Ireland open after Brexit, a key sticking point in the EU talks, on which London is due to publish new plans shortly. EU Commission President Jean-Claude Juncker meanwhile warned that London’s threat to walk away from the negotiations without a deal would have consequences. “We want a deal. Those who think no deal would be the better solution are not aware of the difficulties such a scenario would imply,” he told the European Parliament in Strasbourg. Johnson was a leading campaigner for Brexit in the referendum. Even after being appointed foreign minister he continually challenged May’s EU strategy. He quit in July in protest at her plan for Britain to follow EU rules in goods after Brexit, which she says will protect cross-border trade but he argues would keep London tied to the bloc well into the future. The EU has also rejected the plan, saying it undermines the bloc’s cherished single market. Numerous eurosceptic Conservative MPs have already drawn big crowds in Birmingham as they offer their own idea for a looser trade arrangement with the EU. Johnson endorses the same alternative proposal, but the maverick former London mayor has particular star power, and his lunchtime address in a 1,500-capacity hall is expected to be packed. “He’s not a details guy, but he’s a guy who has vision. And he’s a winner,” said Ian Burgess, a delegate in his 60s from Somerset in western England. Johnson is known for his wit and confrontational style, and before the event, he posed for a press photograph in a field of long grass. It clearly mocked May, who once said the naughtiest thing she had done was run through a field of wheat. But Johnson’s recent comments about her Brexit plan, calling it “deranged” and saying it strapped a suicide vest to the British constitution, have angered many fellow MPs. Several former colleagues used the conference to make jokes at his expense, while finance minister Philip Hammond said his alternative Brexit plan was “fantasy”. Even former Brexit minister David Davis, a fellow eurosceptic who describes Johnson as a “great mate”, said many of his ideas “are good headlines but not necessarily good policies”. Among the delegates, there is also unease about Johnson’s public disagreements with May. Mike Kay, a 34-year-old delegate from Manchester in northwest England, added: “He has a kind of charisma that so few others do. But he is very divisive, that’s a problem.